SmartCar theme, designed by Go Dev Team, is available now! 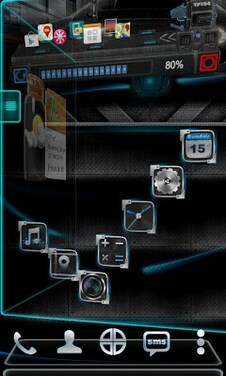 Blue tone, Technology and fantastic style, covers icons, wallpaper, folders interface and app drawer. Get it and have a completely new makeover of your smartphone with android OS at once! 1. Make sure the latest version of Next Launcher 3D has been installed!